It was a day of promoting everything Kelowna. We started the morning with a photoshoot for Tree Brewing. 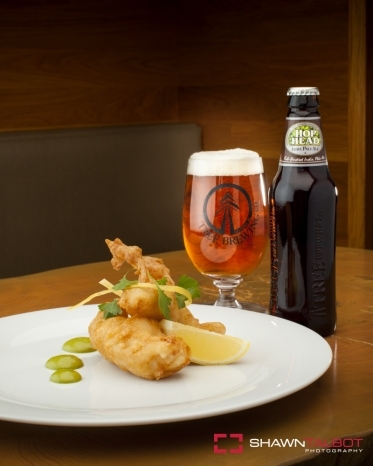 Celebrity Chef Mark Filatow of Waterfront Wines partnered with Tree Brewing to create a recipe using Hop Head – Tree Brewing’s signature beer. The recipe was for a beer-battered fish and *wow* was it amazing! The recipe will accompany all new six-packs of Hop Head. Later that afternoon we joined forces with Tourism Kelowna to create some new airport signage at YLW. Thanks to some great weather, the help of Bilga Farms and Tricia and her daughter Kyla, we captured numerous images that Tourism Kelowna was very happy with.